At Corsi Dental Associates, we’re not going to make you feel bad for your answer. The truth is that the vast majority of people out there aren’t flossing as often as they should. Even those who take their at-home dental care very seriously don’t get everything completely right! In other words, even if you could use some improvement with flossing, you’re not alone. That’s why in today’s post, we’d like to break down some helpful flossing techniques to help make sure you get it just right. Should you be flossing every day? Most definitely. Will it totally derail you if you miss a day here and there? Probably not, but the more you do it, the better you’ll be. Keep reading to learn more! When it comes to flossing, how you’re doing it is just as important as how often you’re doing it. What we mean by that is that if all you’re doing is jamming the floss between your teeth and letting it snap into place against your gums, you might be doing more harm than good. So what should you be doing? Basically, the goal is to get rid of the plaque that’s built up between your teeth and gently massage your gums at the same time. A large number of people in the states have gingivitis, which essentially means that their gums aren’t getting the level of care that they require. The basic idea is to gently position the floss in between your teeth, move it to your gum line, massage your gums gently, and then kind of give the floss a seesaw motion on the side of each tooth, removing plaque in the process. Check out the video below on brushing and flossing techniques if you’re more of a visual learner. Wondering if you should be using traditional floss that you wind around your fingers and try your best to navigate it in between your teeth? Perhaps you like the idea of floss picks since they’re easy to pull out of the package, use, and then throw away. Is one better than the other? The answer is that either way is okay as long as you’re using the right technique. At the end of the day, they’re basically the same thing in slightly different packages. But about a water flosser? Can that replace traditional flossing? Unfortunately not, but if you’re suffering from puffy or damaged gums, it can help them to heal, and you can use a water flosser in conjunction with your other flossing method for maximum results. In order, your nightly dental care routine should include flossing, water flossing (if applicable), brushing your teeth, and then using mouthwash. We know that it can feel like a lot at the end of a long day, but if you can take care of your teeth and gums consistently, you’re setting yourself up for success for life. A little effort now will save you a lot of headaches later. Is It Time to See a Dentist? If it’s been awhile since you’ve been to a checkup, we’re here for you. No matter your situation, you can count on the team at Corsi Dental Associates to provide you with exceptional care at every step of the way. We pride ourselves on being the go-to dentist in Woodbury and we’ll go above and beyond to put you at ease. We know that not everyone loves going to the dentist, but we strive to offer friendly service, affordable care, and comprehensive visits every single time. It’s as simple as that! 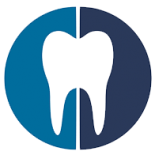 We offer everything from teeth cleaning to extractions to fillings to root canals and more. In other words, no matter your reason for seeing us, you can be certain that we will take great care of you. Schedule an appointment today. We look forward to hearing from you!